Sora Fallcrest always dreamed of adventure, but as a member of the nobility, she learned the ways of a Lady instead. Now seventeen, she is expected to choose a husband and marry. She plots to run away, but just as she is stepping out the door, she runs into a mysterious man-and is kidnapped. 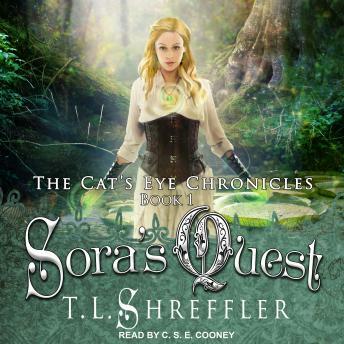 Abducted from her manor, Sora is plunged into a world of magical races, arcane jewelry and forgotten lore. She finds herself at the mercy of a dangerous assassin, haunted by an even darker past. She yearns for freedom, but he won't let her go-not when her Cat's Eye necklace is the only thing that can save his life. But the necklace itself presents a problem. It is an ancient device from the long forgotten War of the Races, and its magic has the ability to steal souls. Can Sora learn to wield its power, or will the power wield her?